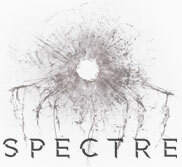 The 24th James Bond film, SPECTRE, commenced principal photography today - Monday 8th December 2014 - at Pinewood Studios in the UK. 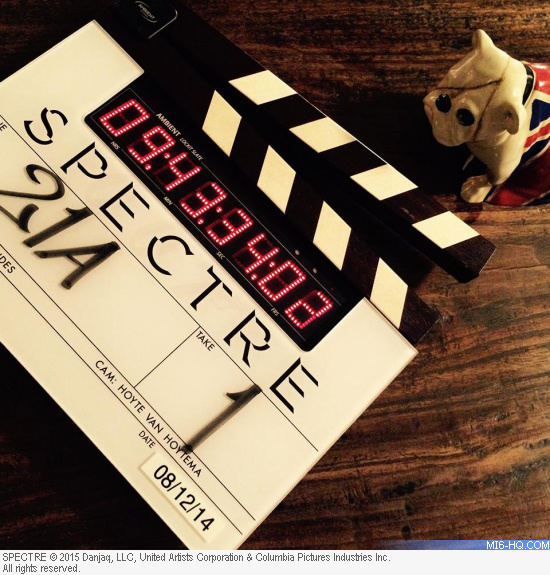 The official social media accounts released the first image from the set, where the clapper board clearly shows Scene 21 (very early in the film). "The entire bloody office goes up in smoke and that thing survives." A familiar face is also present, that of Jack the Bulldog, which was handed down to 007 from M in her will. It was a reminder to Bond to never take a desk job. Named after the bold Union Jack flag that is emblazoned across his back, Jack is based on an iconic bulldog, originally modeled in 1941 by Royal Doulton's great art director Charles Noke. 'Jack' sits pride of place on M's desk in several of 'Skyfall's MI6-based shots and he survives an explosion and plays a poignant role in the film's final scenes.